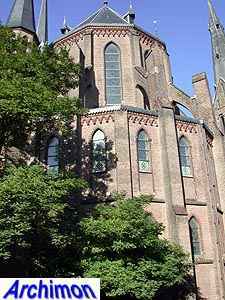 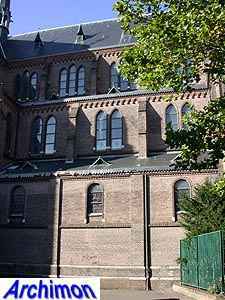 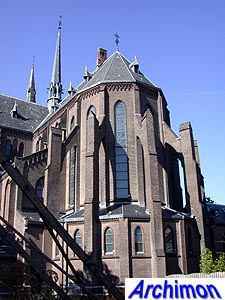 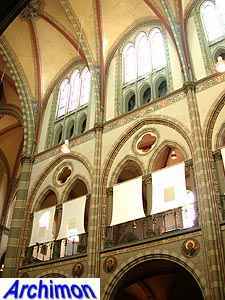 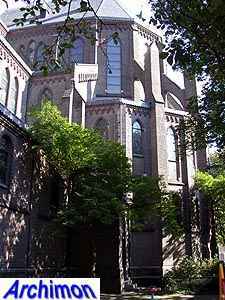 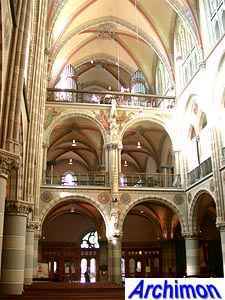 In the second half of the 19th century both Den Haag and its catholic community made a spectacular growth. 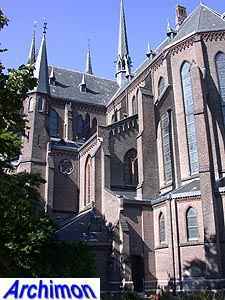 In several new neighbourhoods new parishes were founded. 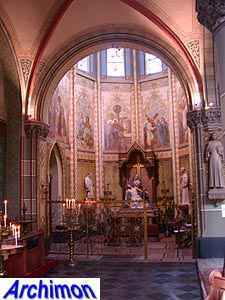 One of these was that of Our Lady Immaculate Assumption. 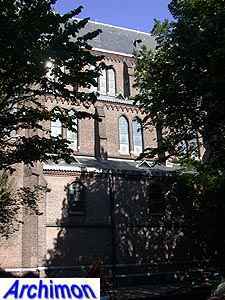 A temporary church was built in 1877. 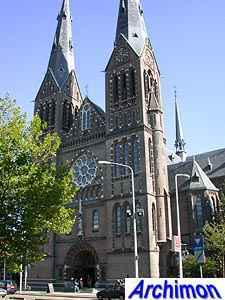 In 1891 work started on the current church. 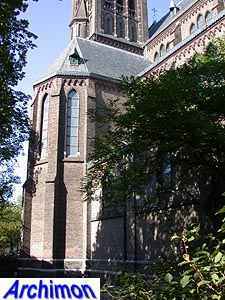 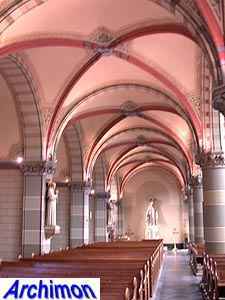 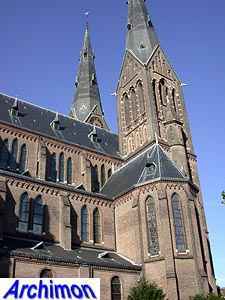 The architect was N. Molenaar, and the church would become his most important work. 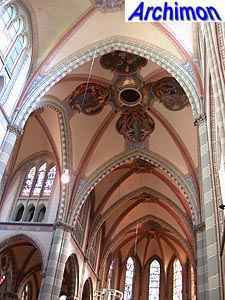 He took his inspiration from the Notre Dame in Paris. 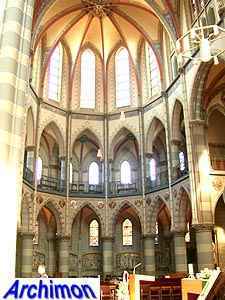 The eastern part of the church is shaped like a cloverleaf, with polygonal choir and transept-arms. 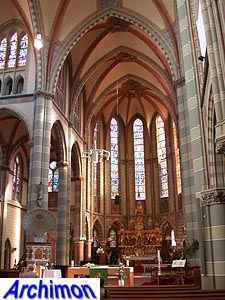 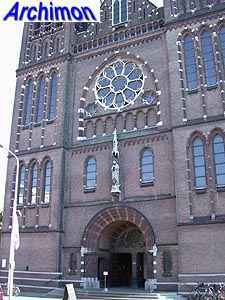 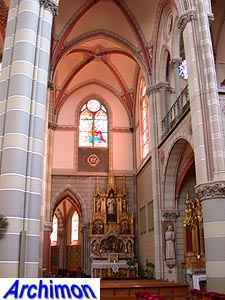 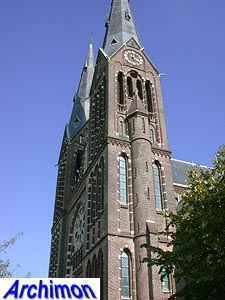 The impressive front of the church has two towers and is decorated with countles niches, either blind or with windows, and small pieces of natural stone, much like the St. Bonaventura Molenaar had built in Woerden (U) a year earlier. 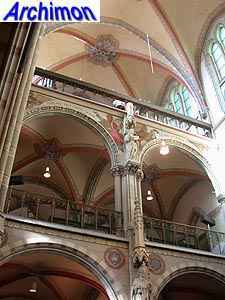 Inside the galleries over the side-aisles are remarkable. 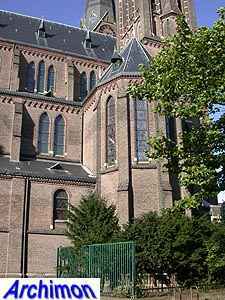 Back to N. Molenaar sr.